While magnesium is an electrolyte, it is also an essential mineral, required for energy production, the structure of bones and teeth, and the proper functioning of muscles and nerves. It is involved in the cascades that create proper clotting, brain function, DNA and RNA replication in cell division, and cell division is everything, every function in your body!! One’s risk of magnesium deficiency also increases with MEDICATIONS such as: proton pump inhibitors (Prilosec, Prevacid, Nexium), diuretics (hydrochlorothiazide, Aquazide, Microzide)and bisphosphonates (Fosomax, Zometa, Bonefos). Deficiency also increases Type II Diabetes and pregnancy & nursing. Daily intakes for women 19-30 years old are established at 310mg, and 400 mg for men. Over age 31, 320 mg for women and 420 mg for men is recommended. Pregnant & nursing women need 350 mg according to the NIH. Some foods rich in magnesium, like peanut butter, packs 49 mg in a 2 tablespoon serving. Dark chocolate offers 64 mg in a 1 ounce serving, and one large ripe banana has 37 mg. One medium avocado contains 58 mg, but the biggest punch is packed in one cup of whole wheat flour with 160 mg. Other nuts (almonds & cashews), as well as spinach and black beans are also good sources of magnesium. 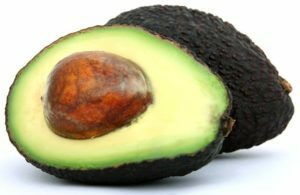 At best your body absorbs 50% of the magnesium you eat… this means 16 servings of peanut butter or 32 tablespoons for a 30 year old male to obtain 400 mg. Or, 14 Avocadoes would provide 812 total mg, for a 50% absorption of around 400 mg. You can see the challenge. IV infusion of Magnesium provides a formulation of 300-800 mg directly into the body tissue without concern for the limitations of gut absorption. Instant magnesium fulfillment. Magnesium can be added to an IV during IV therapy.